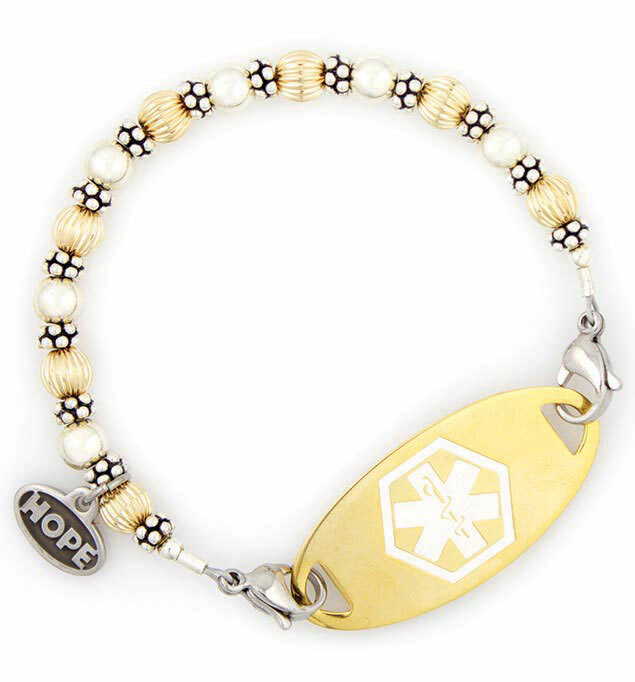 The Gold/Silver Balis medical ID bracelet is a classic Lauren's Hope design. Featuring alternating 14 carat gold-filled and sterling silver beads and our signature Hope charm, this simple yet elegant medical alert bracelet pairs perfectly with any custom-engraved Lauren’s Hope medical ID tag. This bracelet is suitable for everyday use including hand washing and bathing. Shown with optional Gold Tone White Oval Medical ID Tag.